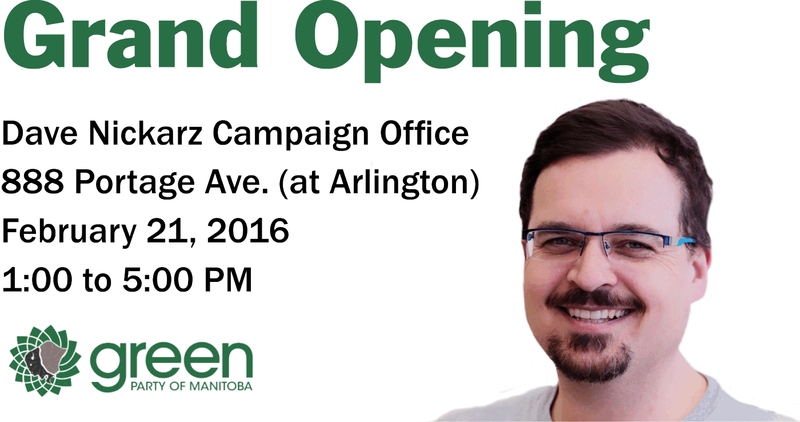 Please join us this coming Sunday to kick off Dave Nickarz’s Wolseley election campaign in our new office at 888 Portage Avenue. If you want to help out, you can sign up here. If you want more information, you can meet Dave and find out why we need a Green voice in the Manitoba Legislature.